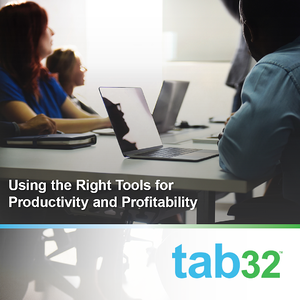 When it comes to your practice management platform, are you using the right tools for the job? Or are you just making it work with a cobbled together system of software that sort of does the job? We know it can be difficult to make significant changes in your software. Switching from your current "system" can be a daunting task. But when do you decide you've had enough of "good enough" and are ready to be productive and profitable? Are you regularly engaging with patients between appointments? Do you have a system sending them recall and appointment reminders? Even better—can they text you back? We've met dentists who run the gamut from doing these calls with staff to using a stand-alone app or software, to not doing anything to engage patients. Obviously, that last option doesn't do any practice any favors. Without calls or reminders, you probably have a large number of no-shows, patients who aren't coming back for their regular cleanings, and a good number of unfinished treatments on your books. If you are somewhere in the middle, using staff for reminder calls or shooting off irregular recall reminders, what do you think it would take to make that a process in your office? What if you had the right tool that would set up those recalls, appointment reminders, and even help you find and engage patients with incomplete treatments? Would that have an impact on your practice? The difference here is the right tool. A practice management platform with the features you need can help you put those systems into place. The idea is to find something that includes all the features, doesn't need additional add-ons (and cost) to operate. So often we see that with a lot of other systems— there are additional fees to send email or text messages your patients. Not only is this included when you use tab32, but you also give patients the option to text you back to a local number. It's a no-brainer that your cash flow and overall profitability is deeply tied to how your practice collects money. When your staff has a simple, effective way to submit claims, track payments, and even save and process cards on file, you have all the tools you need. Keeping cash flow up is imperative, and the only way to do that is to be efficient and consistent. With tab32, insurance claims can be submitted in three simple steps. Notes, images, and any other attachments are available right in the platform. This saves admin time and reduces errors—both factors that make it more likely your payments from insurance companies are coming as quickly as possible. Does your current software give you the capability to keep patient cards on file and charge as necessary? This feature simplifies payments for your patients, making it more likely for you to be paid on time. If your current practice management platform is costing more time and money than it's saving you, it's time to move on. While it can be daunting to make a switch, the overall effect will be worth it. And if you're just starting out, be sure to carefully consider your options before committing.